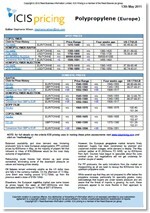 ICIS publishes a trustworthy, reliable and informative C1 China Mixed Aromatics Market weekly report as well as daily price assessments. Our team of locally-based reporters gather intelligence to keep you abreast of news in the market and allow you to make crucial business decisions. 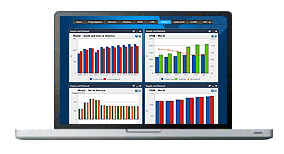 This essential tool contains assessments and data pool, import margins, inventory news, shipping fixtures, market commentary, related market updates, methodology and graphs. ICIS has a global network of reporters in Houston, London, Singapore, Shanghai, Mumbai and Moscow, ensuring unrivalled coverage of established and emerging markets. Our reporters develop expert knowledge of the specific markets they cover, developing contacts and building knowledge of the market on a local and global basis, in order to offer insight into prices and the factors driving prices.This expertise enables us to produce independent and accurate price assessments which are relied on by key market makers for their decision making. Our petrochemical and chemical pricing information is published in individual reports, dependent on the different regions we cover for each market, including Mixed aromatics. We offer the following regional Mixed aromatics analysis and news coverage to keep you informed of factors and developments affecting prices in the Mixed aromatics marketplace. 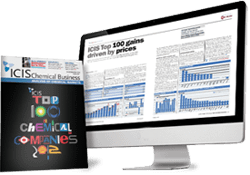 Over 25 years of reporting on key chemicals markets, including Mixed aromatics, has brought global recognition of our methodology as being unbiased, authoritative and rigorous in preserving our editorial integrity. Our global network of reporters in Houston, London, Singapore, Shanghai, Guangzhou, Mumbai, Perth and Moscow ensures unrivalled coverage of established and emerging markets. Benzene is used primarily as a raw material in the synthesis of styrene (polystyrene plastics and synthetic rubber), phenol (phenolic resins), cyclohexane (nylon), aniline, maleic anhydride (polyester resins), alkylbenzenes (detergents) and chlorobenzenes. It is used as a chemical intermediate in the manufacture of ethylbenzene, cumene, nitrobenzene, anthraquinone, benzene hexachloride, benzene sulphonic acid, biphenyl, hydroquinone and other products used in the production of drugs, dyes, insecticides and plastics. Around 53% of benzene demand is accounted for in ethylbenzene/styrene production. The second largest consumer is cumene/phenol at 18%, followed by cyclohexane at 14%, chlorobenzene/nitrobenzene at 7% and alkylbenzene at 3%. Other end-uses include adhesives, radios, toys, sporting goods, appliances, automobiles, tyres, and textiles. Benzene has been used in the rotogravure printing industry, preparation and use of inks in the graphic arts industries, in extraction and rectification, in shoe manufacturing, as a thinner for paints, as a degreasing agent and as a component of motor vehicle gasoline.